This chapter discusses the development and implementation methodology of a real-time biomedical telemetry system for ambulances. Comparable systems, together with their authors’ claimed improvements, are evaluated and analysed in this chapter. 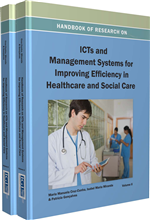 The authors start by providing an overview of the most relevant systems, and then introduce the reader to the methodology used to develop and implement a real-time communications system that allows low-cost data transmission from a medical monitor and haematology analyser installed in an ambulance. This system was evaluated in terms of how well it can provide health assistance within a 50 km radius of the Torrecardenas Hospital (part of the public health-care system in southern Spain). Results have been technically and medically validated, and encourage further implementation of this technology, since it was proved to be reliable, while the transmitted data allow a correct and thorough patient evaluation throughout the patient’s transportation to the hospital. For many years, advances in medicine have been accompanied by similar developments in technology. Over recent decades, the development of electronic equipment-based biomedical systems has allowed remarkable improvements in research, diagnostic, and patient treatment techniques, as confirmed by Meystre (2005). The use of information and telecommunication technologies, as well as electronics applied to medicine may go beyond the medical techniques, and provide support for other processes associated with healthcare. The overall goal is to improve the process of providing healthcare, to improve information and communication between healthcare workers, and to speed up the internal administrative processes of the system (Figure 1). Recent advances in the electronics industry have been applied to telecommunications, leading to the development of innovative solutions that use microprocessor-based systems, and integrating mobile communications into our everyday life. Modern society recognizes that telemedicine can provide solutions that enable healthcare services to be brought to remote and/or isolated places that would have been unthinkable 20 years ago. New wireless sensors offer low-cost telemedicine and versatile methods for supervising chronic patients, regardless of their location, so increasing the demand for efficient and practical telemedicine systems. This opens up an arena for new ideas that focus on improving the user's well-being (Yu Hu, 2010; Ren-Guey, 2007). There are many examples of such applications. For instance, primary-healthcare monitoring of patients in remote areas suffering from diseases that require constant monitoring of medical parameters, monitoring of therapeutic procedures (Sánchez-Tato, 2010) or applications whereby a doctor in a hospital can monitor a patient's rehabilitation process in his/her home (Varshney 2006). Information and communication technologies therefore open up a range of possibilities to enhance patient-doctor and doctor-patient interaction and so ease access to healthcare services, bringing patients more freedom, and improving the quality of their overall healthcare. Accordingly, there are many examples of telemedicine systems that have been already developed and deployed in rural and domestic environments, as described by Kyriacou (2009). However, few of these systems have been designed for ambulances, and most do not go beyond the level of publication or patent. In 2001, with the aim of finding a solution to the technical difficulties of telemonitoring a patient's signals during ambulance transportation, the Electronic, Communications and Telemedicine research group (ECT) at the University of Almeria (Spain), proposed a new communications system to optimize biomedical data transmission between an ambulance and the destination hospital. The system consists of a hybrid network of radio and modem-based narrowband-Internet. By deploying a network of dedicated repeaters connected to the Internet, the system allows data communication between the ambulance and any system connected to the Internet. Test results shown that latency introduced by this dedicated radio network is negligible compared to the typical latency introduced by the Internet segment of data communication. The proposed solution is assessed from both technical and medical standpoints. On the technical side, reliability and range of data transmission is analysed; on the medical side, we assess how well it provides early evaluation of critical patients whilst they are still outside of the hospital. Hybrid Network: Mobile communication system that incorporates narrow band radio technology and repeaters for routing information to the Internet. Teleambulance: Vehicle used for patient transportation with remote monitoring capabilities for virtual care of the patients as if they were in a hospital. Public Data Network: Public-access communication system that enables subscriber to connect to the Internet, even from GPRS/UMTS mobile communication systems. Central Receiving Node: Station normally located in a hospital that enables medical staff to access patient monitoring information for diagnosis. Repeater: Intermediate data traffic station that increases the range of communications by resending information from strategic locations to destination. Private Data Network: Communication system designed for private use and only accessible to authorized personnel. Radio Data Link: Wireless communication system that allows data transmission from mobile units or vehicles.